Washington, D.C. – Today, Congresswoman Marcy Kaptur (OH-09), the longest-serving woman in the 116th Congress and Dean of the Ohio Delegation, released the following statement after she was elected by her Democratic colleagues to serve as the first woman to chair the influential House Appropriations Subcommittee on Energy and Water Development. 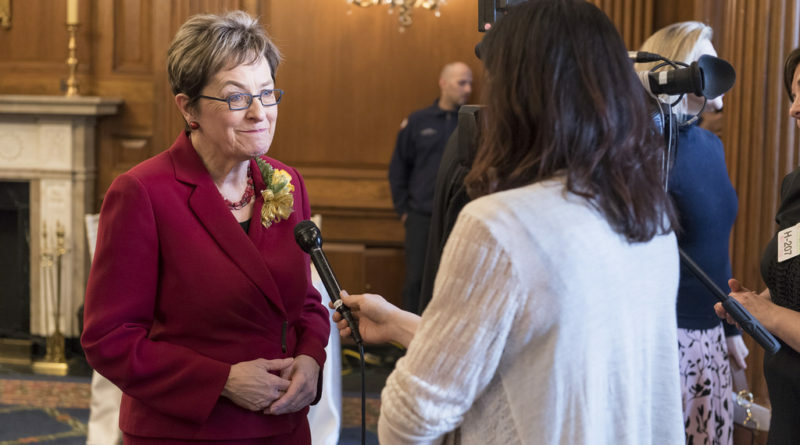 “It is an honor to assume the important role of Chair of the House Appropriations Subcommittee on Energy and Water Development,” said Rep. Kaptur. “As Chairwoman, I will work closely with my colleagues to fund innovative programs at the Department of Energy and the jobs that comes from it, shore up our energy and water infrastructure to bolster trade, and promote a comprehensive approach to the many challenges facing our Great Lakes – the largest collection of fresh water on the planet. Our efforts will also serve as an important check against the shortsighted efforts to gut the innovation-driven Department of Energy and its core programs. The House Appropriations Subcommittee on Energy and Water Development has jurisdiction over funding levels for the Department of Energy, Office of Civil Defense, United States Army Corps of Engineers, Bureau of Reclamation, and related agencies such as the Appalachian Regional Commission, Defense Nuclear Facilities Safety Board, Nuclear Regulatory Commission, Nuclear Water Technical Review Board, the Tennessee Valley Authority and other regional authorities. 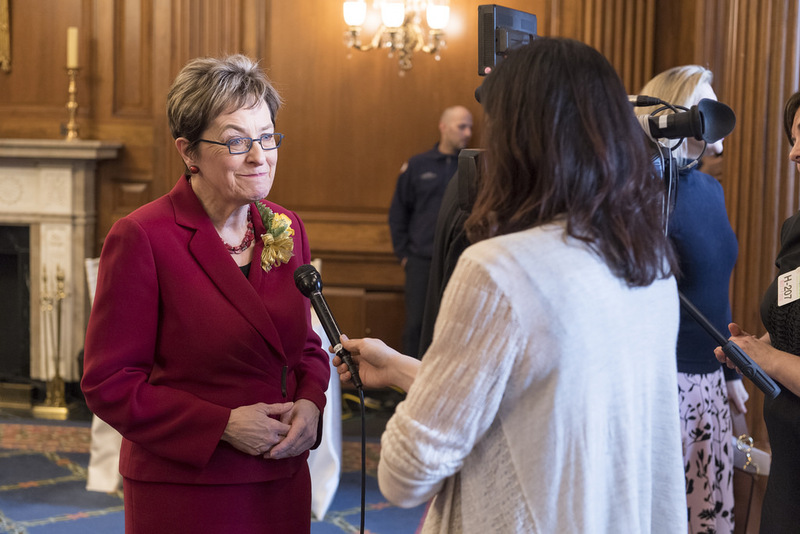 As Chairwoman, Rep. Kaptur will guide the Subcommittee’s agenda and help craft annual funding bills for the departments, agencies, and vital programs under its jurisdiction. Rep. Kaptur strongly believes in the good that robust investment in these agencies can achieve for Americans across the country, especially in her northern Ohio district. 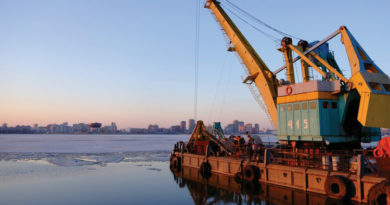 Fostering job growth in renewable energy research, protecting our precious natural resources such as Lake Erie, and supporting U.S.-based manufacturing through investment in our nation’s energy infrastructure and waterways, especially those connecting communities in the Great Lakes Region to the Atlantic Ocean, will be among Rep. Kaptur’s highest priorities. In the 116th Congress, Rep. Kaptur will also serve as a senior member of the House Appropriations Subcommittee on Defense, which has jurisdiction over the Department of Defense, Office of the Director of National Intelligence, and Central Intelligence Agency, as well as the House Appropriations Subcommittee on Commerce, Justice, and Science, which has jurisdiction over the Department of Commerce, Department of Justice, National Aeronautics and Space Administration (NASA), and the National Science Foundation.